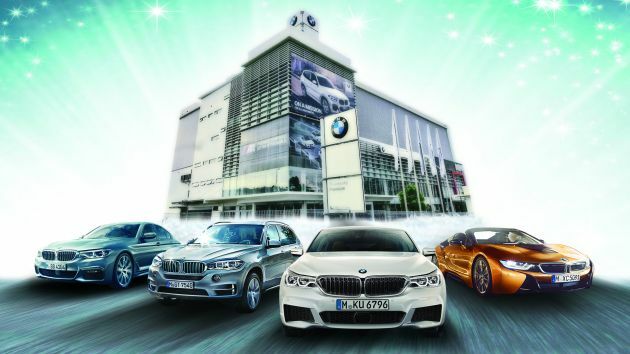 AD: End the year on a high with rebates up to RM90k on a BMW with Wheelcorp Premium this weekend! Home » Special Coverage » Sales & Promotions » AD: End the year on a high with rebates up to RM90k on a BMW with Wheelcorp Premium this weekend! Just like that, we have come to the final month of 2018. There is no better way to close off the year on a high note than with your dream BMW, and thanks to Wheelcorp Premium, it might just be within your reach, as the company celebrates its sixth anniversary this weekend! To kick things off, you will be able to enjoy rebates of up to RM90,000* as well as irresistible financing rates from as low as 1.22%*. You will also be able to take advantage of high trade-in values at the event, to make owning a BMW an even more affordable proposition. On top of that, a lucky draw will put you in the running to win a variety of fantastic prizes, including a Vaio laptop worth RM6,000, a white gold pendant set worth RM5,000, The History of Whoo skincare set worth RM5,000, a Visconti Le Lumiere diamond pen worth RM3,000, car tinting and coating vouchers, a Touch ‘n Go gift card, BMW lifestyle merchandise and many more! So head on over to Wheelcorp Premium Setia Alam this weekend, from November 30 to December 2, 10 am to 6 pm to enjoy these year-end deals! For more information, call 012-399 8652 or visit the official Wheelcorp Premium Facebook page.